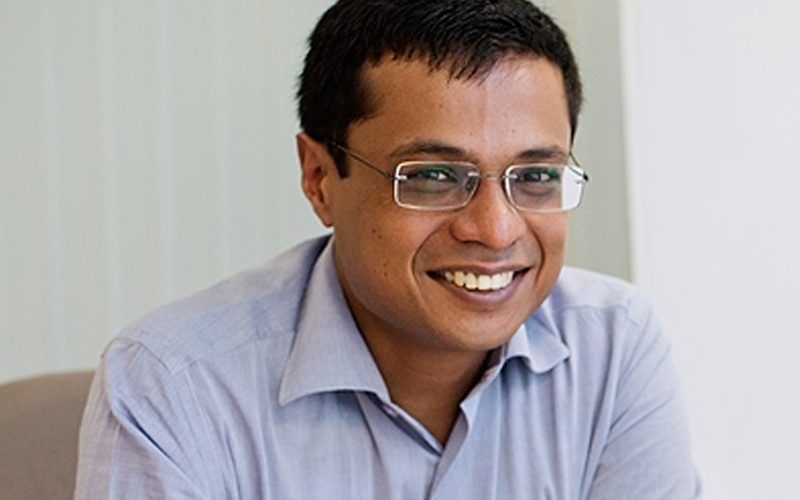 Flipkart co-founder Sachin Bansal might acquire a 75% stake in Bengaluru-based microfinance firm Chaitanya Rural Intermediation Development Services, The Economic Times said, citing persons in the know. Bansal could take up the role of Chaitanya’s chief executive once the transaction goes through, the report added. The investment is likely to be routed through BAC Acquisitions Pvt. Ltd, which Bansal co-founded with his IIT-Delhi batchmate Ankit Agarwal in December 2018. Bansal has been actively investing in the financial services space. In February 2019, he invested Rs 250 crore each in non-banking financial companies Altico Capital India and IndoStar Capital Finance, according to media reports. Bansal, who reportedly made $1 billion from Flipkart sale to Walmart, has been actively investing in the startup ecosystem. Very recently, in February, he invested Rs 650 crore ($92 million) in ANI Technologies Pvt. Ltd, which owns and operates cab-hailing app Ola. The investment, made in Bansal's personal capacity, was part of Ola’s larger Series J funding round. Last month, Bengaluru-based Bounce, which is a scooter and bicycle rental platform, received debt worth $3 million from Bansal. Bengaluru-based online consumer lending company Credy has raised an undisclosed amount in a pre-Series A round of funding, co-founder Pratish Gandhi told Inc42. The company has raised a mix of equity and debt financing led by Ahmedabad-based non-banking financial company MAS Financial Services Ltd, said Gandhi. Credy plans to use the funds to continue building its loan book and growing a solid distribution network within India through more partnerships, said the report. Cready Technologies Pvt. Ltd, which own and runs Credy, enables online disbursal of personal loans. The company charges interest from 10-12% a year and claims to have an average loan ticket size of $540 (Rs 37,430.4 at current exchange rate), with a repayment tenure of eight months. Founded in 2017 by Gandhi, Abash Anand and Harshit Vaishnav, Credy had raised $1.4 million in seed investment from Y Combinator, Khosla Ventures, Vy Capital and high net-worth individuals last year in February. Emailed queries to Gandhi did not get any response till the time of publishing this report.